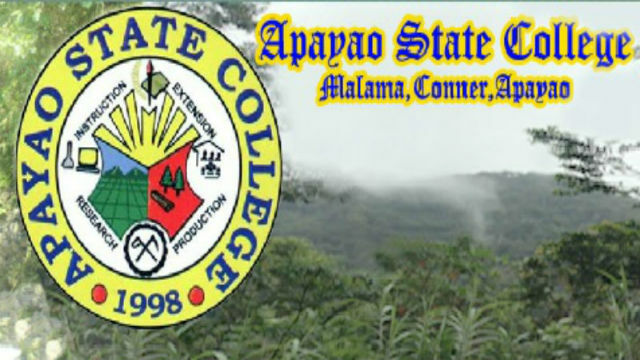 LUNA, Apayao – Concerned officials and employees of the State-run Apayao State College (ASC) unravelled the alleged unprofessionalism of their president Nelia Cauilan for her alleged insulting and discriminatory remarks against them and the indigenous peoples of the province. Reliable sources outside the province who requested anonymity, prodded Cordillera offices of the Commission on Higher Education (CHED) and the Civil Service Commission (CSC) to initiate the appropriate investigation and the alleged abusive acts of the school official and for her to be instituted the necessary disciplinary actions so as not to repeat similar acts detrimental to the image of the indigenous peoples from Apayao. Further, the sources claimed that the school official even goes to the extent of allegedly cursing some officials and employees for their alleged inability to perform their job even if she is not aware of the prevailing circumstances relative to what she is talking about in terms of managing the affairs of the institution. “We could no longer tolerate her continuously maligning us in public which is considered to be detrimental to the overall image of the institution,” the sources stressed. According to them, it is high time for concerned government agencies to take action on the plight of the concerned officials and employees before the gains of the institution over the past several years would be rendered useless because of the alleged mismanagement done by the present school administration. The sources claimed that business transactions in the school are often very much delayed because documents are often stocked in her office that go beyond the supposed 15-day reglamentary period prescribed under the provisions of Republic Act (RA) 6713 or the Code of Conduct and Ethical Standards of Public Officials and Employees. They are also questioning the process of bidding of projects in there institution. . The sources revealed that some competent high ranking officials of the school were forced to resigned from their designations because they could no longer tolerate her authoritarian leadership which should not be the case in an institution endowed with public interest. Moreover, the sources pointed out that her alleged bad mouth has no place in an institution that is mandated to mold individuals to have the proper values and character needed for them to become responsible citizens of the communities where they belong. The sources stated that there will be witnesses who will come out to corroborate their allegations once a full blown investigation will be conducted by concerned government agencies and even the local government. Herald Express could not reach Cauilan for her to air her side on the matter as of press time. Concerned government agencies is yet to look into the veracity of the allegations.